When we gave up grains, we pretty much gave up all pasta and noodles. 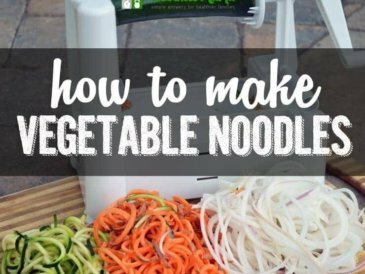 Lately, I found a way to make “noodles” out of vegetables and they taste delicious! Even if you aren’t grain free, using vegetables in place of noodles is a good way to get some extra nutrients in your diet. Before the name scares you off, I should say that this was a hit with all of my kids. It is essentially just a standard lo mein recipe with parsnip “noodles” in place of the noodles and a few substitutions for ingredients like soy sauce. I used a spiral slicer (this one) to make the parsnips into noodles, but you can also use a peeler or just very thinly slice them to get a similar effect. 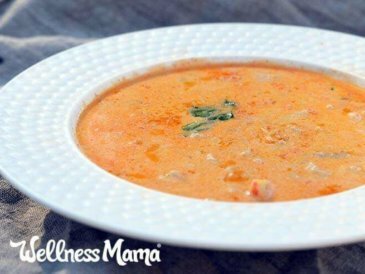 My favorite thing about this recipe? 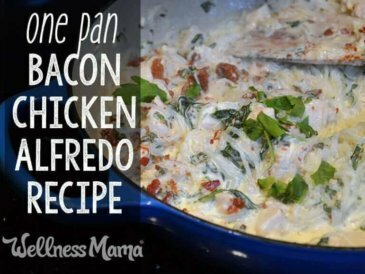 It comes together in under 30 minutes and you only need one pan! 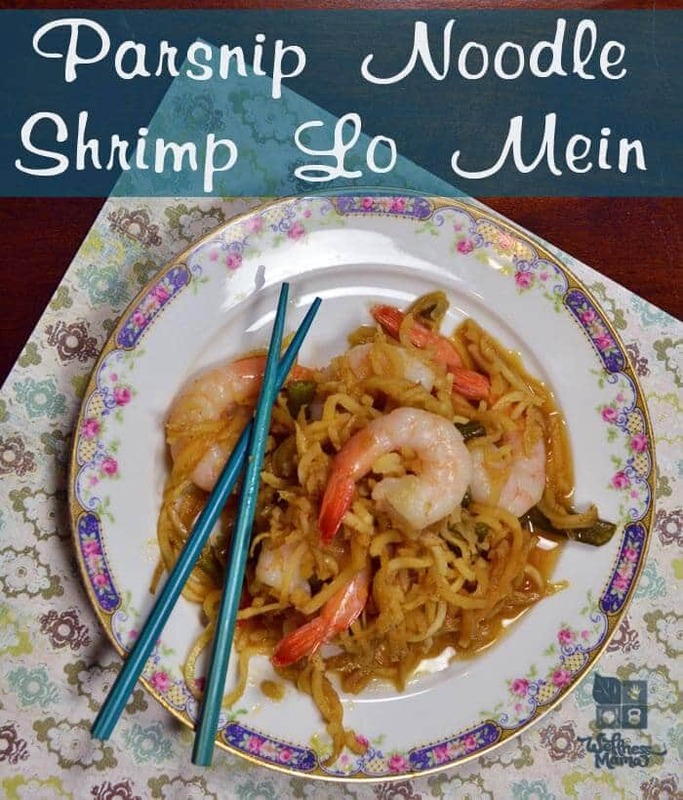 A simple one-pan shrimp lo mein that uses parsnip "noodles" in place of regular noodles to up the nutrition without losing flavor. Cut the parsnips in to curly noodle shapes using a spiral slicer. If you don't have one of these, you can use a peeler, or just very thinly slice the parsnips. Melt the coconut oil in a large pan or wok. Add the chopped carrots and sauté for 2 minutes. Add the thinly sliced onion and green beans and sauté for another 2 minutes. 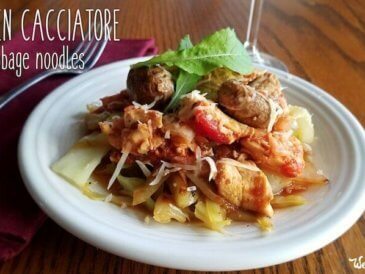 Add parsnip noodles and continue sautéing on medium heat for 5-8 minutes until all ingredients are starting to soften. Add the garlic powder, pepper, salt, coconut aminos, fish sauce and honey and stir well. If shrimp are frozen, add them now and put a lid on the pan. 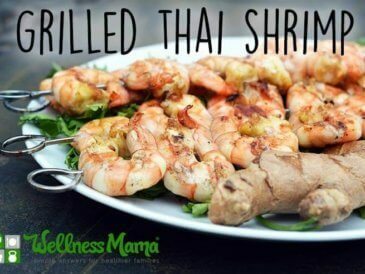 If using defrosted pre-cooked shrimp, wait an additional 2 minutes and then add. 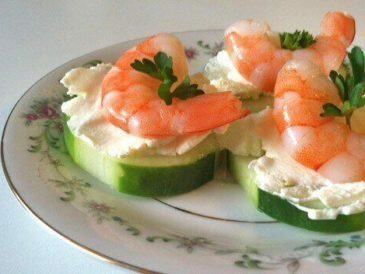 Continue cooking until shrimp are hot and vegetables are all tender. I'm not a fan of soy sauce so I use coconut aminos instead. Read more about them here or try making your own homemade soy sauce! Do you sneak veggies into any foods? Share below!